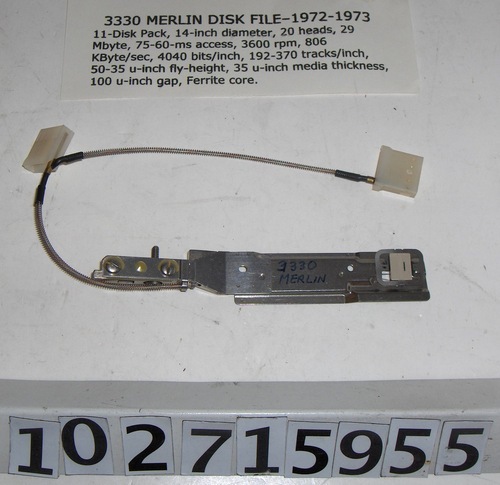 3300 MERLIN disk file 1972-1973. 11-disk pack, 14 inch diameter, 20 heads, 29 MBytes, 60-75 ms access, 3600 rpm, 806 KByte/sec, 4040 bits/inch, 192-370 tracks/inch, 35-50 u-inch fly height, 35 u-inch media thickness, 100 u-inch gap. Ferrite core.